January 28, 2014 January 29, 2014 bcalvanocoachingLeave a Comment on Weekly Angel Oracle Card Reading for January 27 through February 2. Weekly Angel Oracle Card Reading for January 27 through February 2. 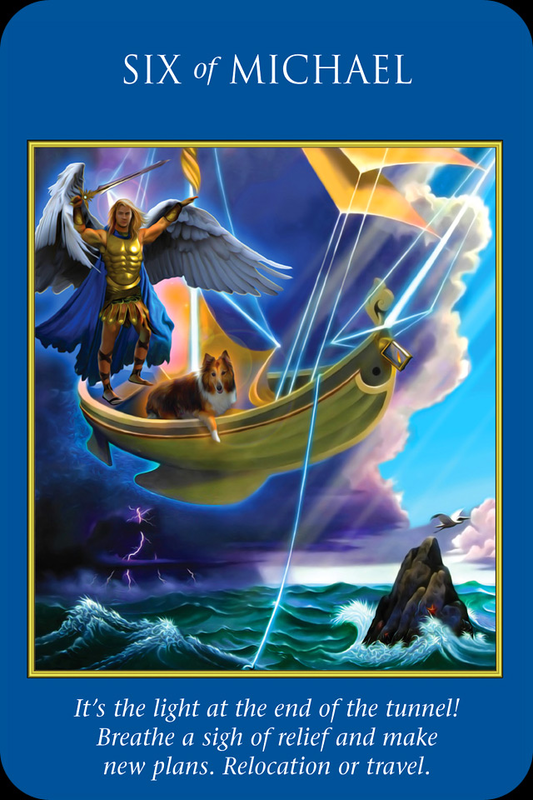 I am guided to use the Archangel Power Tarot Card Deck by Doreen Virtue and Radleigh Valentine. Join me each Saturday at 4pm EST for my LIVE show where I share a weekly angel card reading, guided mediation and take listener calls for person readings! 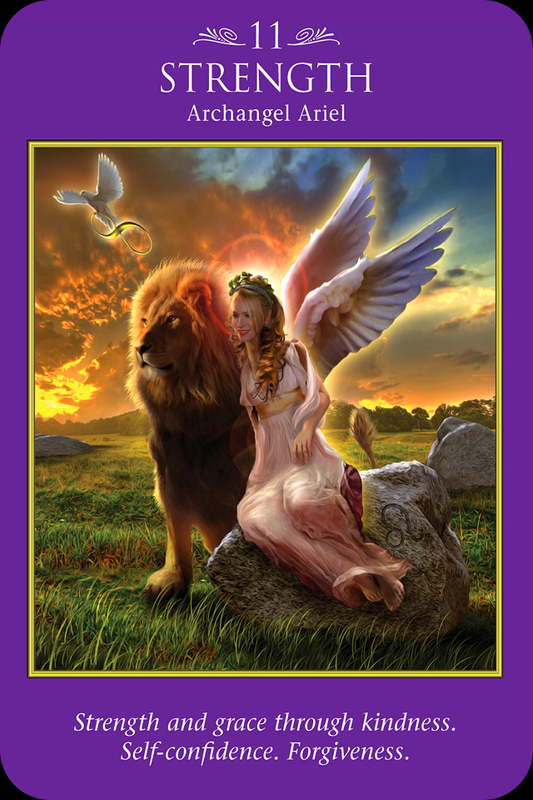 For Monday and Tuesday we have the card, Strength with Archangel Ariel: Strength and grace through kindness. Self confidence. Forgiveness. This message is a reminder that you are much stronger than you believe! You will achieve better results by using your power from a place of faith with gentleness and compassion than from fear where there is always force. Archangel Ariel is with you to support you in manifesting material things of the world. We are reminded to use patience and our inner strength. You can call upon Ariel if you need extra confidence and she will assist you in getting in touch with your inner courage. If you find yourself judging or criticizing yourself remember that you are a child of God. Bring peace and balance to yourself with love and mercy so that you can also mirror this to others. For Wednesday and Thursday we have the card, Six of Michael: It’s the light at the end of the tunnel! Breathe a sigh of relief and make new plans. Relocation or travel. As depicted on the card a storm has passed and you see a sunnier horizon. You may have been weathering some difficult situation and Archangel Michael is saying it’s time to relax and breathe as things will be better. The worst is over. If you need any support from him or others don’t hesitate to ask. We are also being asked to release the past and allow the new! 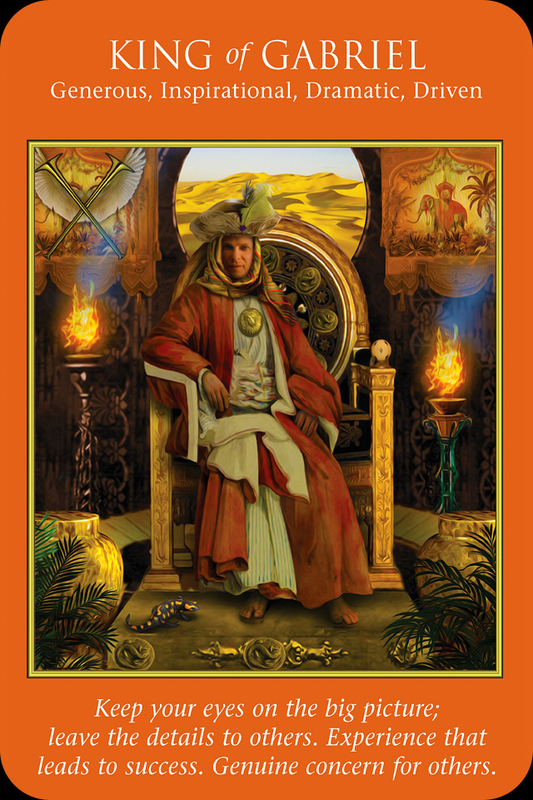 And for Friday, Saturday and Sunday we have the card, King of Gabriel: Keep your eyes on the big picture. Leave the details to others. Experience that leads to success. Genuine concern for others. Here Archangel Gabriel is reminding us of the importance of having a vision of our life that we desire! We can go ahead and think big, creating our dreams without worrying about all the details of how it will work out. Of course, we will have to take actions and be listening for the guidance of the next right action to step forward ! We have the support of the angels and others to assist us with the details. We are are being acknowledged for our past work and experiences that will allow for the greater success to come. The angels are aware of your compassion and desire to help others. January is a great time to create a vision board. You can take a large piece of paper and cut out images from magazines or print them from your computer. Include images and words that describe what you desire your life will to look like in all areas including relationships, health, home, spirituality and fun. By creating it and looking at it daily you send messages to the Universe and the angels of what you truly desire. By law of attraction magic can happen! It looks like a week where we are reminded and guided by the angels that we have what it takes! That we can rest in our peace of knowing the worst is behind us and have faith in taking actions creating the life we desire. We also have the reminder to go for it and keep the big picture in our mind and heart of what we want and allow for support. A wonderful way to end January and get prepare for February’s great flow of love! For more information about my angel card reading services and to book an indepth reading for your self contact me at 917-324-3726 or by email at bcalvano-coaching@usa.net http://www.bcalvanocoaching.com See my website for details. I am available for talks, angel parties, workshops and mini angel reading events! Previous Weekly Angel Oracle Card Reading for January 20 through 26.